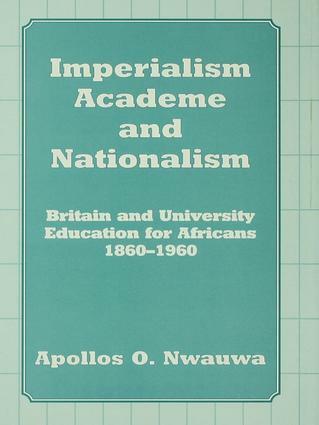 Using British Colonial Office papers, the archives of colonial governments in Africa, and the writings of African nationalists, Dr Nwauwa examines the long history of the demand for the establishment of universities in Colonial Africa, to which the authorities finally agreed after World War II. "..a welcome contribution to the amplitude of studies on this or that aspect of higher education in anglophone tropical Africa -"
"His discussion of the role of this lobby offers interesting new insights into the history of colonial reform in Africa." "This is an important publication on a topical subject … It is a story told in a refreshing way in an agreeable and satisfying style" - Michael Omolewa, "Paedagogica Historica"
"A thoughtful and soudly-based account.